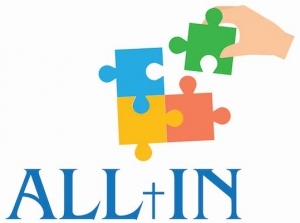 All In is an opportunity for people to come and explore who God is in a fun and interactive way. You can have faith/religion, a bit or none at all. You can get questions answered. You are given time, space and freedom to think at your own pace. There are no assumptions and if it isn’t for you … no guilt. We just want to give you a real opportunity to explore who Jesus is and what Christianity is all about. We ask for a £1pp donation to help keep All In going. The All In session lasts about 45 minutes or so and can include ANYTHING from: games, puppets, puzzles, challenges, experiments, magic. At the end, we always have nice family style, sit down meal (vegetarian option always available) . We work hard to make this a positive experience. Just come along or if you have any questions, give us a bell, email or whatever!